Visitors need to see the complete picture. As a tourist destination Wales has so much to offer its visitor. The biggest difficulty is showing this visitor everything Wales has to offer because all current forms of presenting Wales Tourist Information can only ever deliver a small part of what is 'the big picture'. to create The Big Picture. 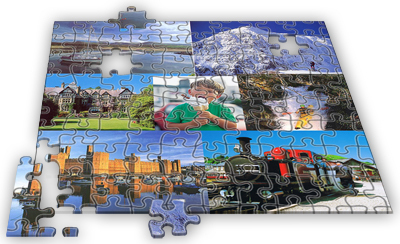 Web4-u will create an integrated strategy for the dissemination of web based Wales tourism information. To produce a simple, low cost and effective method to distribute up to date and relevant tourism related information via a Wales website network. To enable tourism businesses to create and control their own website. To empower tourism associations, consortia and individuals to form a partnerships that will develop an integrated web based Wales information dissemination system that is created bottom up.